Switchyard is a lightweight service delivery framework providing full lifecycle support for developing, deploying and managing service-oriented applications. Switchyard is the community project for one of the components for Red Hat JBoss Fuse Service Works. I am pulling together a Switchyard Primer which contains various topics around the project. I am starting with Application Basics and Contracts. I am building the primer in slides.com to make it easier to share and update. To start building the primer I gathered some initial material from the Switchyard project and from Jorge Morales' Blog. I will continue to update with more material for the Primer for Switchyard. This initial release includes Part 1 and Part 2 which is below. Please leave comments for any topics you would like to have included in the primer. This week is my first time posting for the weekly editorial and excited to join the team. There is a lot to highlight for this weeks editorial. Autumn is now upon us in the Northern Hemisphere which marks the transition from summer to winter. The arrival of night is earlier, temperature is cooling and leaves are turning color as well as falling. I was at the Boston office a couple of weeks ago and the area was beautiful with the change in the color of the leaves in addition to the cool weather. With the transition of warm to cold weather autumn is known as the primary harvest with many harvest festivals celebrated across the globe. Whether you celebrate Labor Thanksgiving Day in Japan, the Dutch Feast of Saint Martin of Tours, American Thanksgiving Feast, Canadian Thanksgiving Feast, German Martinmas, Czech Republic Posviceni/Obzinky, Chinese Harvest Moon Festival, etc., have a great Autumn. Red Hat is the best company in the world to work. I have enjoyed Red Hat since day one and continue to enjoy the work, the people and the open source culture. We have a current job opening for a Software Sustaining Engineer who will help improve the quality of the BRMS and BPM Suite platforms which are the productised versions of the Drools and jBPM open source projects. So if you love Drools and jBPM, and want to help make them even better and even more robust - then this is the job for you The role is remote, so you can be based almost anywhere. 300+ kids, 16 speakers (4 from middle/high school), 6 rooms, 24 sessions of 75 mins each = extremely rewarding weekend + inspired kids! Silicon Valley Code Camp Kids (SVCC.kids) is a one-day event that is a new addition to the famous Silicon Valley Code Camp (SVCC) event. The event was held at Foothill College in Los Altos Hills, CA on October 12th. DecisionCAMP 2014 took place at San Jose on October 13-15 which is a free conference in the San Jose area for business rules and decision management practitioners. The conference concentrates on Business Rules and Decision Management. Decision Management is the art or science, depending on your perspective, of automating decisions in your systems. Last week was the Openslava 2014 Conference for emerging technologies and open-source in Bratislava, Slovakia. Videos from the talks will be published soon. Markus Eisele posted a Trip Report which also included a video and presentation on 50 best features of Java EE 7. Coming up in November we have several people from Red Hat involved at Devoxx BE 2014. Devoxx has grown to be one of the most popular Java conferences series in Europe. This year we are excited to announce that JBoss will be presenting a keynote on the future capabilities of PaaS. We have severalspeakers who are speaking on a variety of topics. Visit JBoss Community members at Devoxx University, the Hackergarten, the sessions or have a drink with us at Nox! Ramesh Reddy highlighted several articles designed around SOAP Web Services with JBoss EAP and Teiid. His blog shows Single sign-on (SSO) with Teiid with Kerberos secured Web Service with the next step consuming services that are secured through SAML and OAuth. Ramesh Reddy posted a blog to help the sizing of a Data Virtualization infrastructure based on Teiid or Data Virtualization. The blog examines certain questions around environment and scenario as well as discussing certain limitations of the engine. Syed Rasheed was a guest blogger with Arun Gupta on Data as a Service: JBoss Data Virtualization and Hadoop powering your Big Data solutions. We highlighted the Beyond Big Data Webinar Series which provided the data, time and descriptions of the upcoming 5 webinars. John Hurlocker was a guest blogger with Eric Schabell to present tips and tricks on background and guidelines for the design cycle encountered when one works with rules projects. In a separate blog they also described possible BRMS deployment architectures. Eric Schabell shows us how to rocket into the Clouds with OpenShift bpmPaaS Quickstarts. Eric also shows us how to duplicate artifacts in JBoss BPM Suite in 3 easy steps. We highlighted new getting started videos and demonstrations from Christina Lin and myself in the New Fuse 6.1 Getting Started Series. 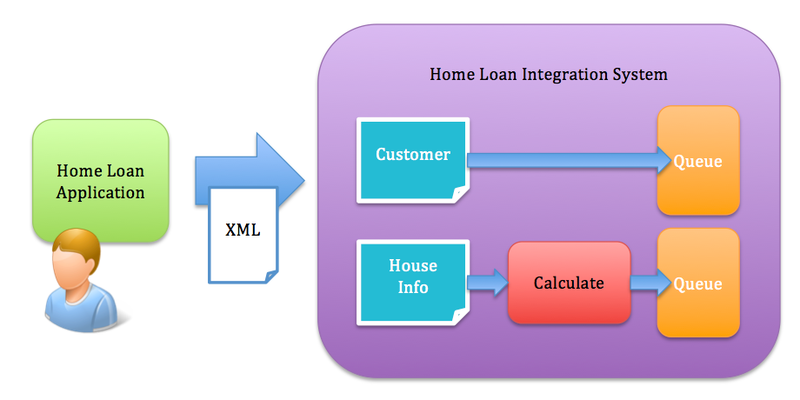 We also highlighted Enterprise Integration Patterns and where to find a quick example. Darran Lofthouse described a new feature added to Wildfly 9 under WFCORE-105 which is Kerberos Authentication for Domain Management over HTTP. Heiko Braun discussed the updated management console in Wildfly 8.2. Markus Eisele provided another episode his developer interview which took place with Matthias Wessendorf. Matthias is working at Red Hat where he is leading the AeroGear project. Previously, he was the PMC Chair of the Apache MyFaces project. Matthias is a regular conference speaker. The last couple of weeks we had several new project releases. Take all of them for a spin and enjoy! JBoss Tools and Developer Studio for Eclipse Luna! There have been many feature additions and a lot of bug fixing polish going into this main release and these have been documented/described in details atWhat’s New. Immutant 2 (The Deuce) Alpha2 Released! We're as happy as a cat getting vacuumed to announce our second alpha release of The Deuce, Immutant 2.0.0-alpha2. Big, special thanks to all our early adopters who provided invaluable feedback on alpha1 and our incremental releases. Infinispan 7.0.0.CR2 released! As we approach final release, the main themes of this CR were bug fixes and enhancements, many related to Partition Handling. JGroups 3.6.0.Final released! We just released 3.6.0.Final to SourceForge  and Nexus. It contains a few new features, but mostly optimizations and a few bug fixes. It is a small release before starting work on the big 4.0. RichFaces 4.5.0.CR2 Release Announcement! We have a second candidate release for RichFaces 4.5 (4.5.0.CR2) available. We’ve fixed a couple of regressions uncovered by both our community and QA team. Teiid 8.9 CR1 Posted! After a small delay Teiid 8.9 CR1 has been posted to the maven repository and the download page. SwitchYard 2.0.0.Alpha3 Now Available! The SwitchYard team has been making steady progress on the 2.0 release and I'm pleased to announce the latest preview of SwitchYard 2.0, Alpha3. We're rapidly approaching beta quality and the only think keeping this release from being called a beta is the lack of support for BPM and rules components on WildFly. Overall, the team has made great progress improving stability, especially on Fuse/Karaf. That's all for this week, please join us next week when we will share more news about the JBoss Community. We have pulled together a new Getting Started Series for Fuse. We are updating http://www.jboss.org/products/fuse with the 5 part series. Check out Christina Lin's blog for more demos and videos on Fuse and A-MQ. Follow the below series to build your first application. 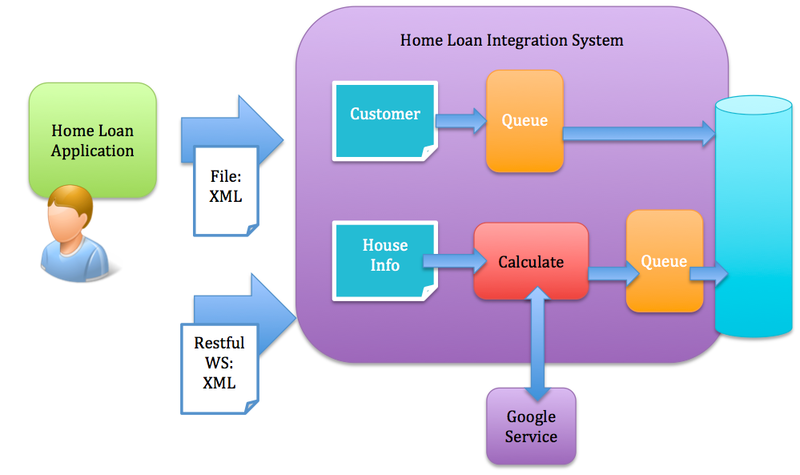 You will build some simple examples as well as build a Home Loan Application using JBoss Fuse to integrate different enterprise systems. The Home Loan Application accepts a loan request from the customer and provides a loan decision including a home mortgage rate. The series walks you through each step of the application development lifecycle from start to finish. I am doing an Ignite talk at the C5ISR (Command, Control, Communications, Computers, Combat Systems, Intelligence, Surveillance, and Reconnaissance) Conference this year in Charleston, SC on November 19. Over the past seven years, the Annual C5ISR Government/Industry Partnership Summit has grown into the Premiere East Coast technical event, and the 8th Annual 2014 Summit is shaping up to be our best event yet! This years’ theme is “Technologies Enabling Information Dominance”, and will feature National-Level Speakers, Interactive Workshops, Specialized Technical Tracks, Receptions, Exhibits, and as always, unparalleled networking opportunities! Has your organization has been thinking about ways in which intelligent systems can be leveraged to improve business processes, transform operations, drive innovation and create new revenue streams? With input from our customers, we have identified a “top 8” list of considerations to address during your project design, and throughout implementation. 7. Storage and analysis of unstructured data. 6. Managing large amounts of data. 4. Moving intelligence to the edge. 3. Patch and configuration management. 2. Communicate reliably, despite disparate systems. To learn more read the article at https://gigaom.com/2014/10/15/top-8-design-considerations-for-the-internet-of-things/ Also for more information on how to structure your organization’s IoT architecture and to discover why Red Hat is the right partner for your enterprise IoT implementations, visit us at www.redhat.com/embedded. The Red Hat JBoss Integration Product Portfolio includes Camel which supports most of the Enterprise Integration Patterns from the Enterprise Integration Patterns Book. 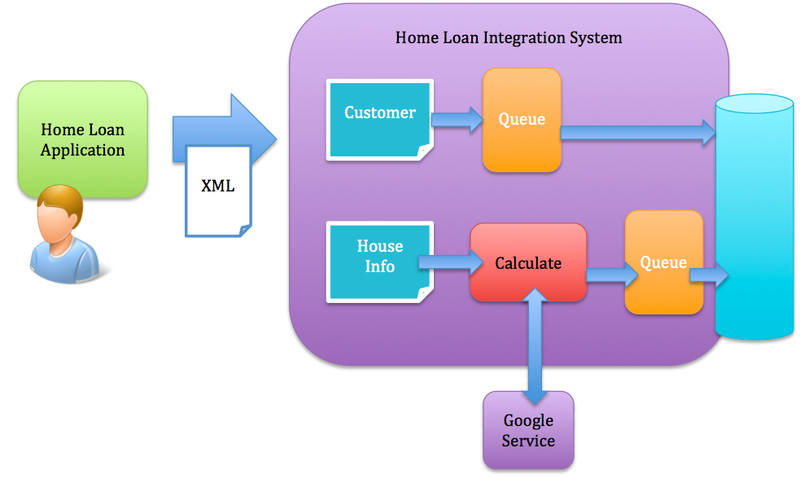 The patterns help integration architects and developers design and implement integration solutions more rapidly and reliably. I wanted to provide a sample application to show off the Enterprise Integration Patterns as well as provide the stencil to get you going on your first integration design. "The core language of EAI, defined in the book Enterprise Integration Patterns by Gregor Hohpe and Bobby Woolf, is also the core language of defining ESB flows and orchestrations, as seen in the ESB's developer tooling." The example below is a quickstart for JBoss Fuse. This example will get you running quickly. We will show how to use this quickstart in Switchyard on Fuse Service Works in the future. Access the example code at https://github.com/kpeeples/fuse-eip-quickstart and in minutes run the application. The wire tap, splitter, recipient list and message filter enterprise integration patterns are shown in this example. We have several Integration and Openshift workshops taking place this month. I wanted to include the dates and information below. Attend Red Hat's complementary, hands-on technical workshop and experience Red Hat JBoss Fuse and OpenShift. Learn how middleware and cloud solutions bridge the theory with reality. Come and learn about OpenShift, JBoss Fuse, Fabric8, HawtIO, and how these technologies can help you implement a successful DevOps strategy with Automation, Continuous Delivery, and a deep understanding of your middleware. * Learn how integration Platform-as-a-Service (iPaaS) connects on premise and cloud solutions, and reap the operational efficiencies that OpenShift brings combined with the messaging and routing/mediation/transformation of Red Hat JBoss Fuse. * Learn how to use open source integration and messaging software safely and securely in your enterprise. Attend Red Hat's complementary, hands-on technical workshop and experience Red Hat JBoss Fuse and A-MQ. Come to our workshop to hear how the innovation and technical capabilities of Apache projects like ServiceMix, Camel, and ActiveMQ can help you reduce the time and complexity of integrating all facets of your business including devices, outlets, and partners, on premise or in the cloud. * Reduce the time required to integrate applications, and implement comprehensive solutions using industry-standard Enterprise Integration Patterns (EIPs). Date: 29 October, 2014 Time: 8:30 a.m. – 5:00 p.m. Date: 4 November, 2014 Time: 8:30 a.m. – 5:00 p.m. I have been asked alot about JBoss A-MQ performance and metrics. Metrics can vary depending upon many factors such as configuration, hardware, message size, number of messages, etc. Instead of publishing specific numbers I thought I would share Samples and Test Plans so that you can test in your own environment. ● Create a new directory to contain all test plans, tools, and results. Throughout the rest of these instructions, this new test directory will be represented as <test_directory>. The processes involved in running these tests are very similar from one test to the next. Therefore, the steps below provide an example by outlining the processes involved in running one of the tests. In the example test, one JMS client publishes messages to a virtual topic while another JMS client consumes those messages from an associated queue. The test results will be written to the file named results.jtl in <test_directory>. Once the test exits, open the JMeter GUI again, select the root node of the default/empty test plan and select add -> listener -> Aggregate Graph. On the Aggregate Graph configuration screen, click the browse button and open the results.jtl file that was generated by the test. The aggregate throughput values will appear - multiply the consumer throughput value by 1000 (there are 1000 messages per batch) to obtain a throughput estimate. Other listeners can be used to further analyse results.